LEWIS CENTER, Ohio -- In the third rendition of a four-part series detailing the top performers from Battle for the City, we take a look at the standout sophomores that gave us the most competitive class battle yet. While the City League took down the OCC in overtime, Central Ohio struck back and upset the City League before being taken down by the OCC. All tying at 1-1, the sophomore class gave us our first ever three-way tie for a single class in the four years of Battle for the City history. Let's take a look at the top performers from a deep group of talent. 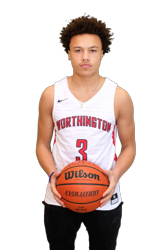 Jalen Sullinger (5’10 PG / Thomas Worthington / 2021): Coming into the event, the maturation of Sullinger throughout this season was evident to any one who watched him. Dominating guards of his own age level on Tuesday, Jalen flashed his Division I potential all night on the court. He possesses such a naturally smooth game with a tight handle and quick dribble combo moves. He blows by guys off the dribble, but can also hit the perimeter shot in a variety of different ways. We saw him hit deep catch and shoot threes, while also hitting several really impressive shots off the dribble, stopping on a dime and pulling up on his defender. On defense, Jalen showed off the ability to jump passing lanes and create steals while also picking his man’s pocket in one-on-one perimeter situations. He plays as hard as they come and will always compete with everything he’s got on the defensive end. Though he is slightly on the shorter side at 5-foot-9, Sullinger picked up his first Division I offer earlier this season from Kent State. 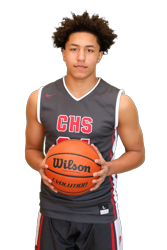 Just by looking at his family you can tell he might have another two inches of growth left, but if he continues to then he will be undoubtedly make a name for himself as one of the top 2021 guards in the entire state. Chance Groce (6’5 WG / Linden-McKinley / 2021): Groce is a gifted athlete with natural talent that many kids his age simply don’t have. Standing at 6-foot-5 with a long frame, Groce already has the perfect build for a college wing (despite some strength) as just a sophomore in high school. He put his athleticism on display all night by throwing down a few big-time dunks, none more crowd-igniting than his tip slam in the paint where he seemed to come out of nowhere. He’s not simply an athletic freak though, Chance is a shotmaker as well. He hit tough perimeter shots all night and also beat his man off of the dribble on many occasions. Groce does a great job of using his body and advanced skill set of moves to create space around the rim in order to finish. 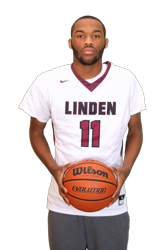 Defensively, Groce can guard most positions at the high school level, which is vital to his squad at Linden-McKinley. He has the length, athleticism, quickness, and overall body build to defend at an elite level. However, he will only be able to do this if he can get his motor to match his talent. If Groce is competing at 100% all the time next year on both ends, whew. Watch out. 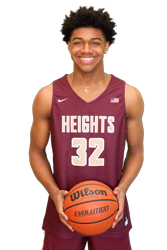 Tyrese Hughey (6’7 PF / Licking Heights / 2021): The life of the sophomore court on Tuesday, Hughey put on a dunk fest in the games. A high rising big man at 6-foot-7, Hughey has both the strength and athletic ability to be a dominant inside force for the years to come. 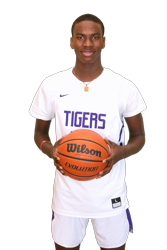 A four that is usually going to operate from 16-feet and in, Tyrese can score with his back to the basket and can also knock down the mid-range jumper. However, he can beat his man off the dribble on occasion, as he has a somewhat refined handle that will also help him score in the post. On defense, he is a big-time shot blocking presence that can alter an opponent's shot any given time that they come into the lane. We only saw him block one shot on the night, but in the high school setting we have seen him have dominant games on this side of the floor. If Hughey has a good summer, he could turn some heads in a big way and garner some attention. 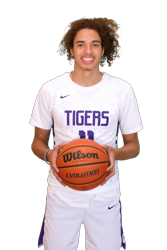 Eli Burke (6’0 PG / Africentric / 2021): After undergoing a pretty large growth spurt in between his freshman and sophomore seasons, Burke enjoyed a bit of a breakout season this year for the Nubians. He showed out for the City again on Tuesday, carving his way into the lane time and time again in order to score. Burke is a sneaky quick guard with an above average handle that he uses to get by his man. He does an excellent job of sizing up his defender on the perimeter in order to break down his next move. Burke showcased the ability to finish with both hands inside, using crafty lay-ins to score on several occasions. He also hit several three-pointers, showing off his reliable outside stroke that he also put to the test by knocking down a few really deep triples. Burke can hit shots off the dribble with consistency as well, typically in the mid-range. On defense, he is a lockdown perimeter defender who is not afraid to defend you the entire length of the court. On Tuesday, he played tough perimeter defense all night and was rewarded with several steals that led to big transition finishes for his squad. While he has the skill set to hold his own on that end, the grittiness of Burke and his want to compete on the defensive end sets him apart on that part of the floor. Elhadji Thiam (6’6 PF / Pickerington Central / 2021): Thiam was one of several high-level bigs on the floor tonight and he more than held his own. He showed improved strength in the paint, snatching down tough rebounds and finishing them through contact on more than one occasion. We already knew of Elhadji as a good post presence, but what caught our eye most on Tuesday was his improved handling coordination and ability to hit outside shots. On one occasion, he even hit a really tough pull-up jumper off the dribble over the top of a larger defender. We also liked the ability that he showed to get out in the open floor and run as a big man. Thiam has the chance to be a very good rim protector over the next two seasons for Pick Central. He has an excellent frame standing at 6-foot-6 with extremely long arms. He contested shots all night during the event and came away with some nice blocks as well. The key for Elhadji will be adding strength, but if he does, he will become a force to be reckoned with inside the paint. 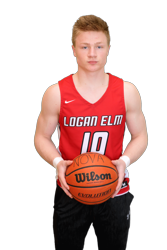 Jason Sailor (5’8 PG / Logan Elm / 2021): In my first ever viewing of Sailor, the sophomore immediately caught my attention on the first play that he was in. The 5-foot-8 guard has a strong, compact build to go along with solid explosiveness off the dribble. He constantly competed at 100 percent during the entire event and scored off the bounce, inside the lane and by knocking down the perimeter shot. I was also very impressed with his vision and passing ability. At one point, he even made a pass in between a defender’s legs and made it look smooth. On defense, he is a hard-nosed, tough guard who is not afraid to get in your jersey and guard you tough. He has good lateral quickness that allows him to stay in front of quicker guards and his strength prevents him from getting moved around easily inside the paint. Sailor has talent and is a great competitor, which will take him good places in his basketball career. Trey Woodyard (6’5 WG / London / 2021): Woodyard didn’t completely fill up the stat sheet on Tuesday as some may have been expecting him too, but he knocked down some impressive shots and put on a good showing in his second year playing in the event. At 6-foot-5, Woodyard has great height and also has good length with very long arms. He flashed the ability to handle the ball, catch and shoot, and hit shots off the dribble with efficiency on Tuesday once again, which coupled with his elite frame makes him one of the better 2021 prospects in the entire area. Woodyard can create his own shot off the dribble and also does a great job of finding open teammates when attracting the defenses attention. Defensively, Trey is capable of guarding both quicker guards and bigger wings on the perimeter. 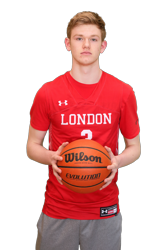 His length compiled with his good speed and quickness make him a solid defender at the high school level, though he can still improve on that end and become elite by the time he is done at London. Garner Wallace (6’5 WF / Pickerington Central / 2021): Wallace was his normal self again at Battle for the City, sprinting up and down the court constantly and scoring in transition. The multi-sport star uses his elite track and field/cross country speed to constantly play at a quicker pace than the defense. Garner did a good job scoring off the dribble as well, putting together several nice finishes through contact after getting by his man. Wallace is a strong, athletic freak who is also capable of scoring in the post at this point in his career. We saw several flashes of his big-time athleticism on Tuesday, none bigger than his near poster slam of a defender on the Central Ohio Mix team. With continued development on his jumpshot, Garner can become a big scoring threat in the OCC for years to come, though he already has had several big outbursts. On defense, Wallace has all of the physical tools that a coach can ask for. He is strong, fast and tall. This allows him to guard both bigs inside and guards on the perimeter. If he continues to get bigger, faster and stronger, Wallace will be a matchup nightmare for most wings in the area. Makhale Massey (6’4 WG / Northland / 2021): Standing at 6-foot-4 with all the traits of an athletic wing, Massey is one of those kids who was blessed with a great frame. With a long wingspan as well, Massey thrives as a transition finisher. When out in the open floor, he can rise above a smaller defender to make for an easier finish and is also capable of finishing through contact. Occasionally you can also see him hit a dribble pull-up as well. Massey is best right now when beating his man off the dribble, but his jumpshot is reliable at times as well. On defense, he uses his athletic ability and great frame to make for a solid wing defender. He can switch onto both guards and wing forwards, which is valuable to any team at this level. With added lateral quickness, he has the potential to become a lockdown defender given his intangibles. Massey should produce in a larger role for Northland next season with the departure of N’Keeley Elmore. 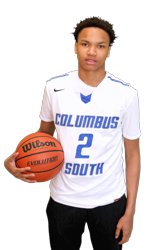 Maurice Barnes Jr (5’10 PG / South / 2021): Though Barnes did not see much varsity time this year at South, the young guard is definitely the next man up for the Bulldogs. Playing behind the talented trio of Tre Watkins, Taquan Simington and Trevell Adams, Barnes has patiently waited his turn, and he should see some time next year with the departure of Watkins and fellow senior Alvin Byrd. Barnes filled it up on Tuesday, knocking down threes with consistency and flashing several good takes. The lefty has a good handle, good vision and showed the ability to hit outside shots off the dribble as well. He is a perfect fit for the up-tempo style of play that South is used to and should thrive in their system next year. Barnes was in the passing lanes all day on defense, racking up several steals in each game. He showed good instincts and anticipation by reading the passer’s eyes before quickly sliding in for steals. Barnes is a decent perimeter defender at this point, and his gritty mindset should help him continue to grow on this end of the floor. If he continues to add strength and quickness, he could be the next electric South Bulldog guard. Carter Jones (6’3 WF / Centerburg / 2021): Jones caught me by surprise on Tuesday as he flashed one of the smoothest strokes in the entire gym. The lefty is never going to be the most athletic player on the floor, but he knocked down catch and shoot threes with consistency for his squad during the event. Jones has a somewhat deceiving handle, as he slips by defenders despite not being extremely electric. Jones can knock down tough jump shots off the dribble and does an excellent job of creating space for himself in order to get open shots. He has good strength for a wing at this point, helping him go through contact and finish around the bucket. On defense, Jones is far from a lockdown defender but is a high IQ player who makes the right reads and does not hurt his team on that side of the floor. The sophomore has the potential to be the Division IV Central District player of the year next season for the Trojans. 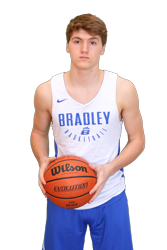 AJ Mirgon (6'0 G / Hilliard Bradley / 2021): Sharing a backcourt with Matt Allocco, Mirgon's impact can sometimes be undervalued for Bradley, however, Battle for the City gave the Bradley guard a chance to show that he can run the show on his own. 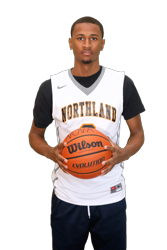 Mirgon is a tough as nails guard who plays a physical brand of basketball, as he can take defenders off the dribble, has good footwork in the post and knows how to use his body to attack the rim and finish. Mirgon impressed this season as a spot-up shooter, as he can play both on and off the ball and finds ways to be effective no matter what role he is in. Defensively is where Mirgon really makes an impact. The 6-foot sophomore is quick enough to stay with some of the area's best ball handlers, while having the strength to bump guys off their spots and make them uncomfortable. Mirgon will have plenty of chances at scholarship opportunities over the next two years. Isaac Settles (6’5 WG / Thomas Worthington / 2021): The athletic 6-foot-5 wing is a relentless bulldog when trying to get to the rim. With a great combination of size, speed and strength, Settles is tough to stop when he’s trying to get inside, where he is a tough finisher. He also has a great handle for his size and he uses his dribble moves to keep defenders on their heels before exploding by them with his lightning quick explosiveness. He is capable of hitting outside shots as well, though his jumper is not his strong suit at this point in his career. Settles is also a good perimeter defender, he just needs to stay engaged on that side of the floor. 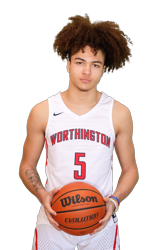 If he can stay within himself and not try to force things and do too much, he could have a big time junior season alongside Sullinger for Thomas Worthington. 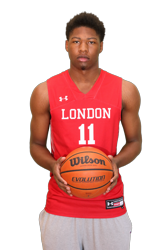 Jainaz Cameron (6’7 PF / London / 2021): Cameron showed off something that we had never seen of him before Tuesday, knocking down three straight triples in the event. To make it even more impressive, they were all off of the dribble. The 6-foot-7 post has a big, bruising frame with long arms, making him a matchup nightmare for a lot of forwards at the high school. He got to see a tough matchup on Tuesday against Elhadji Thiam, and it was refreshing to see him go up against a big with a similar frame. Cameron is still somewhat raw at this point, but he still makes shots inside with consistency and does a good job of using his big body to his advantage. He clogs up the paint for opposing guards on defense as well by excelling on that end with his long arms. Another 2021 who has a good sidekick, Cameron and Woodyard should continue to put up big-time numbers for London in the CBC over the next two seasons. 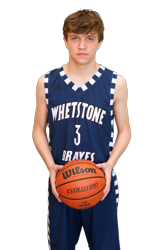 Caleb Brigle (6’0 CG / Whetstone / 2021): The top breakout player at the event, Brigle put on a shooting clinic from three for the City League squad. He hit deep triple after deep triple, even extending his range to as far as the volleyball line on some of his makes. He is not lightning quick off the dribble and doesn’t excel as a finisher, but he did have a few nice takes as well. The combo guard will always earn his minutes as a three-point shooter however, as he was one of the best all night on Tuesday. He plays with a chip on his shoulder and does not back down from anyone, as he competed extremely hard on both ends all night no matter who his matchup was. Look for the sophomore to possibly make a name for himself as one of the better shooters in Columbus next season. 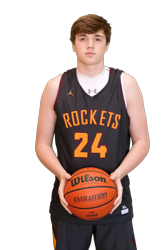 Brock Unger (6’5 WF / Berne Union / 2021): Unger scored practically all of his points from behind the three-point line, knocking down a handful of triples in his time on the court. The 6-foot-5 wing is not extremely athletic, but he is simply a lights out shooter who has the ability to hit outside shots in multiple ways. He can knock down simple catch and shoots, hit three’s coming off of screens, and also showed the ability to pull-up in transition from beyond the arc, Unger can also score in the post with a relatively soft touch around the rim. He is not a lockdown defender on the perimeter, but he can be a good team defender. With several huge scoring games this season, look for Brock to fill it up again next year with one of the smoothest strokes in the Central Ohio. Scotty Lomax (6’2 WG / Groveport / 2021): Jumping into the sophomore games late, Lomax caught me pleasantly by surprise in my first ever viewing of him. Though I had seen some videos of him dunking here and there, I was not aware of his all around game. He is extremely athletic. He has a somewhat good handle and what most surprised me on Tuesday was his ability to hit shots off the dribble. Shooting the ball with extreme efficiency in the limited time that he participated, he hit perimeter shots off the catch and dribble. He threw down some big dunks as well and flashed his big-time athletic ability. With his athletic traits, he definitely can become very good on the defensive side of the floor as well. I am interested to see what Lomax has in store for his junior season at Groveport. 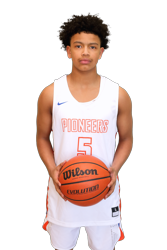 Andre Irvin (5’8 PG / Olentangy Orange / 2021): Irvin does not let being 5-foot-8 alter his game at all. He has a very tight handle and shows good vision and crafty finishing ability. Irvin can also hit shots outside and does a good job of creating his own shot on the offensive end. He is very quick and can slide by defenders given his good handle and deceptiveness. He competes very hard on the defensive end as well and has good lateral quickness which will help him greatly due to his lack of size. Irvin should put up bigger numbers for Orange next year with the departure of seniors such as Bryson Lane and Luke Ballinger. 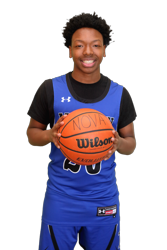 Mehki Jarrett (5’5 PG / Mifflin / 2021): Similar to Irvin, Jarrett is an undersized guard with a tight handle and a crafty array of finishing moves around the rim. He’s sneakily quick and always keeps his defender on their heels. We saw him knock down the three, the mid-range off the dribble and score inside during the event. Despite being much smaller than opposing bigs, he has a very good package of ways to finish inside and get around the length of the bigs. On defense, he is a gritty perimeter defender with above average lateral quickness at this point. He’s somewhat strong given his height, but the only thing that will hurt him on that end is just that, his height. However, Jarrett will be the primary creator for Mifflin next year and will have a big role after earning second team City League honors this season.